I went to Bali recently with my partner, Daniel, and I was thrilled to spend most of our time on a part of the island that’s plentiful in culture, sun, and snorkelling. 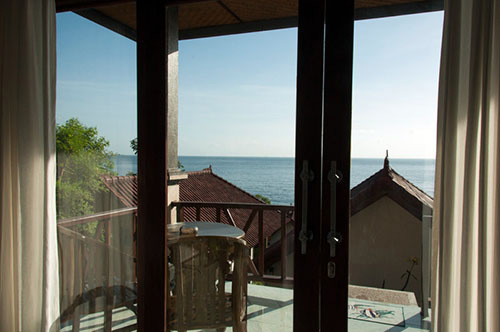 The relaxed diving coast and fishing village of Amed in Bali is, in my opinion, Indonesia’s most eye-opening gem. 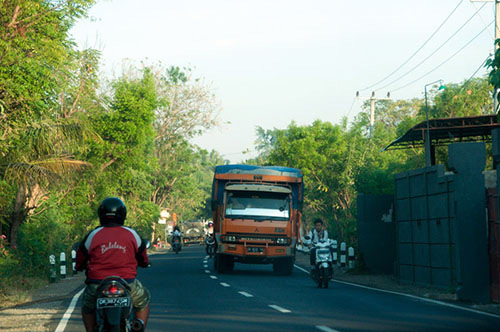 The route to Amed is a 3-hour drive northeast of Bali’s airport along the Ngurah Rai Bypass. I recommend hiring a driver for any trips outside the main districts. For travellers who wish to drive: Rent a (narrow) car, start before 3pm, fill your gas tank at the nearest Pertamina station while it’s available in the city, and pay close attention to maps and road signs. Our destination was Bunutan, a neighbourhood in Amed filled with warungs (Balinese restaurants), and warm, welcoming homestays that provide modest bungalows near Bali’s best dive sites. 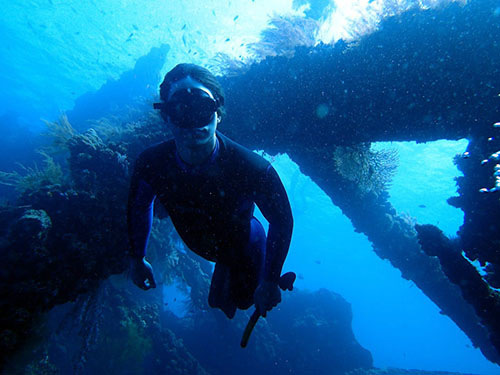 If you’re a diving novice, Bunutan has a number of dive schools where you can take a class. The 45-minute drive (30 minutes by scooter) from Bunutan to our free-dive school, Apnea Bali, allowed us to experience more twists and turns of small village roads – shared by vehicles of all sizes, locals, and farm animals all traveling in multiple directions. 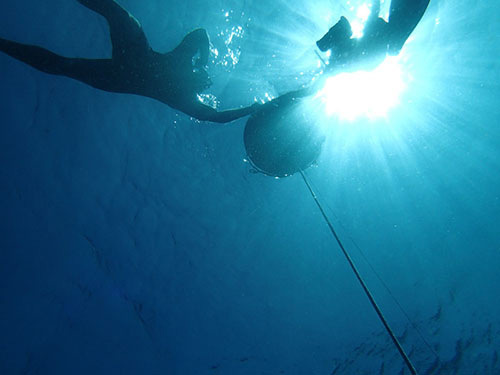 Allowing myself to become comfortable in the deep blue, I learned to free-dive to 16 meters in the Bali Sea after a beginner’s course and guided practice. We continued west along the beach to the USAT Liberty Shipwreck to explore the site amongst sea creatures, snorkellers, and scuba divers. 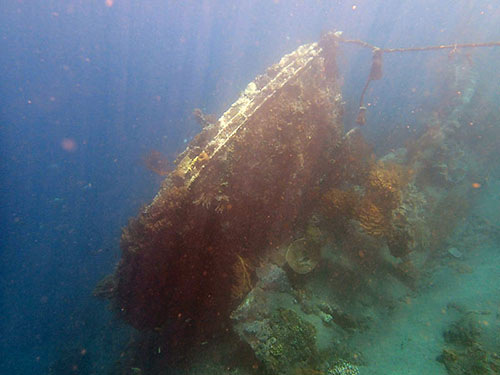 East of Bunutan is the Japanese Shipwreck, another popular snorkel site. Swimming only 20 meters from the beach, the shipwreck becomes visible quite suddenly. The fish and coral here are lively and vivid. Our Olympus Tough TG-2 was a charm for capturing photos and videos, and tracking the depth at which the images were captured. 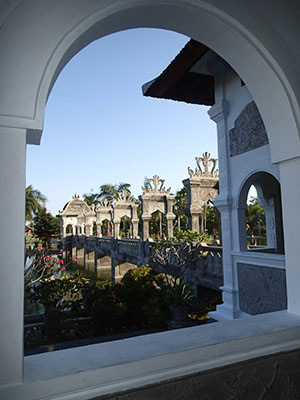 A scenic drive along the east coast lead us to the Tirta Gangga Water Palace – well worth the visit at 20,000 RP per person (less than $2 CAD). We found authentic photograph ops of other travellers, farmers, exotic fowl, and locals enjoying their daily jog around the site. Our final morning was met with an early drive away from Amed, toward Mount and Lake Batur for more exploration toward central and south Bali. Amed is definitely a place to return to in my future Balinese visit. 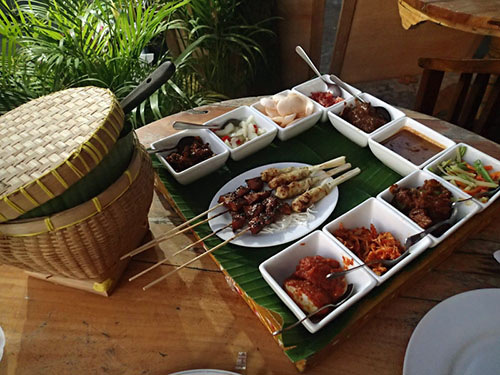 Choose food that Balinese people know how to make best: grilled barracuda, spicy fish, fish sate lilt, fried rice (nasi goreng), deep-fried bananas, and plantain chips! 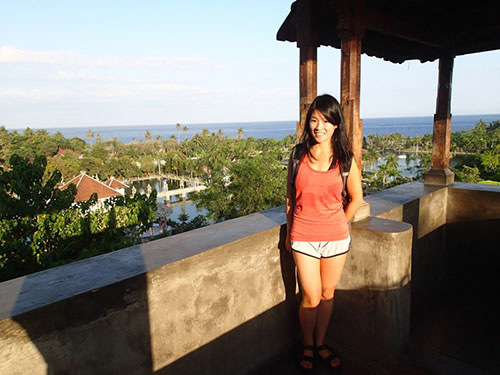 I hope my adventures inspire you to pay a visit to Amed, Bali in the near future. Please leave a comment below if you have any questions. Thanks for sharing Vanessa. This looks like such a beautiful place, and the food looks delicious too! Wow Vanessa – I would LOVE to go to Bali – the diving looks amazing! Thanks for sharing! Thanks Sarah and Iain! Shoot me an email if you do decide to go, and I’d be happy to give you more recommendations. 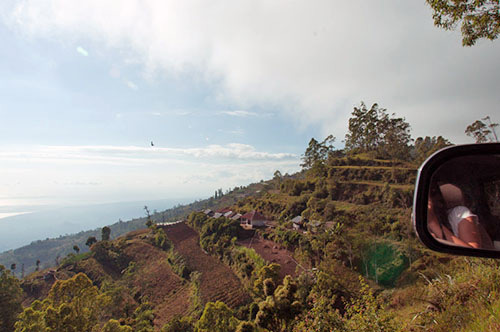 I’d have to say my favourite experience was the homestay because the family who ran it was very helpful and sat down with us every night to recommend the best local spots to visit in the short time we had.